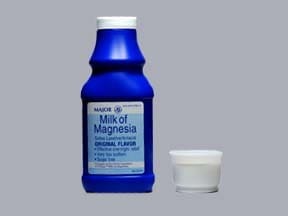 What conditions does Milk Of Magnesia Suspension, (Final Dose Form) treat? 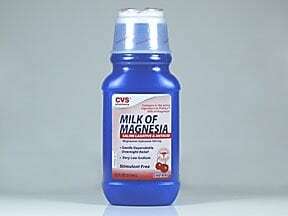 Tell your doctor right away if any of these unlikely but serious side effects occur: symptoms of high magnesium levels (e.g., muscle weakness, slow/irregular heartbeat, slow/shallow breathing, mental/mood changes such as confusion), symptoms of dehydration (e.g., decreased urination, dizziness, extreme thirst, very dry mouth), stomach/abdominal pain, bloody stools, rectal bleeding. 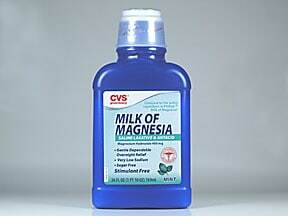 List Milk Of Magnesia Suspension, (Final Dose Form) side effects by likelihood and severity. 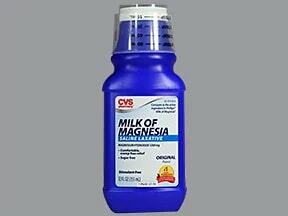 Before using this medication, tell your doctor or pharmacist your medical history, especially of: kidney disease, appendicitis or symptoms of appendicitis (e.g., stomach/abdominal pain, nausea/vomiting), magnesium-restricted diet, sudden change in bowel habits that lasts for longer than 2 weeks. 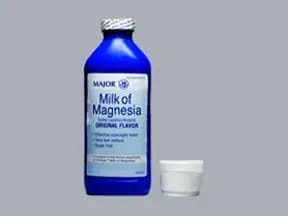 What should I know regarding pregnancy, nursing and administering Milk Of Magnesia Suspension, (Final Dose Form) to children or the elderly? 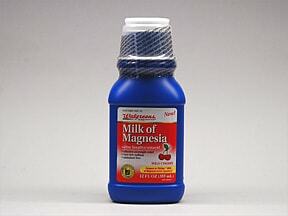 Some products that may interact with this drug include: raltegravir, sodium polystyrene sulfonate. 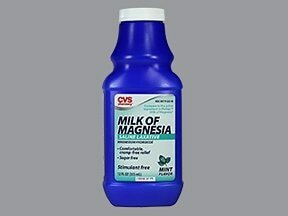 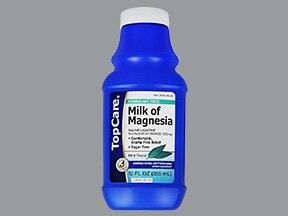 Does Milk Of Magnesia Suspension, (Final Dose Form) interact with other medications? 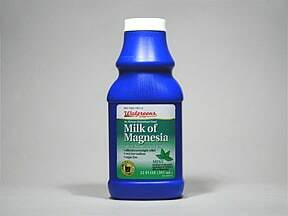 Lifestyle changes such as regular exercise and diet changes (e.g., drinking enough water, eating a proper diet with fiber-rich foods such as bran, fresh fruits/vegetables) may prevent or relieve constipation. 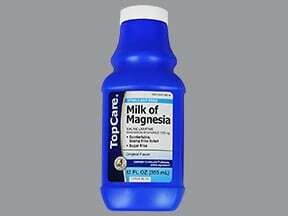 Have you ever purchased Milk Of Magnesia Suspension, (Final Dose Form)?